You must know, Affiliate marketing is one of the most popular ways to make money online from your blog. Affiliate marketing is a referral arrangement, a quicker way to offer products and services in which an online retailer (advertiser) of the product pays you a commission when users purchase their product from your referral link. It works simply, As you introduce your website readers to products or services by placing a referral link from trusted companies or individuals and get a commission on any sales to customers you send their way. Moreover, Affiliate marketing works on a CPA (cost-per-acquisition), or CPL (cost-per-lead) basis which is different from other Ads earning service( pays based on clicks or views) like Google Adsense. So, when readers of your site buy that product from your referral link, you only earn a commission. To start an affiliate programme First, you have to find a company or product that you want to promote. Select the product which suits the blog categories and useful for your audience. Now next step to join the partner programme of the company. This makes you their Affiliate. After joining this you will get a unique affiliate ID. Completing all these all you need to use this affiliate ID in all affiliate links that you add in your website to promote the product. For promoting the product you can add in-depth product reviews, display banner ads, via sending emails to your readers and more. When readers go to the merchant website through your link, all these activities are tracked by your unique ID. Finally, If the user finds their desired product and go for purchase you will earn a commission. Meanwhile, Your payment is ready when issued earnings reach a particular threshold typically 45 – 60 days. READ MORE: How To Add Google AdSense To Your Website? Bloggers always choose the right platform that suits them better. But in case you are not using a right platform then check it. Finally, you are allowed to run affiliate marketing campaigns on your website. As Both WordPress.com vs WordPress.org are different in case of affiliate marketing.So, if you are using WordPress.com, then there are some restrictions regarding the products and services you can link to. while, if you are on self-hosted WordPress.org website, then you can add any affiliate link you want and efficiently manage your affiliate campaigns. This is the next step to find the Affiliate product and services to Promote in order to partner with as an affiliate. This is really very simple to Become an affiliate for products you already use. Your readers get an idea about the product, Once you use it where you know the pros and cons. After searching the product or company, go to the product’s website and search for Affiliate Partners. Next option, you can find the products that are recommended by other blogs. You can easily find many similar blogs that are using affiliate marketing. To find these products on those sites all you need to look for the easily noticeable banner ads on their website. Meanwhile, you can see the link by pointing your mouse to the banner ad, and you will see a link in your browser’s status bar. So, when you click on the link, this will take you to the product website with affiliate marketer’s ID in the link. It is also a good practice, Join Affiliate Network. This helps you to find products to promote, These websites act as a middleman between affiliate marketers and merchants. when you don’t know how to reach out the company affiliate program, you can directly send emails to the company regarding their affiliate programme. The reason behind the direct mailing is some companies may not be actively promoting their affiliate program. So, If they have an affiliate program, then they can invite you to join. It is an act between the affiliate marketer and merchants. 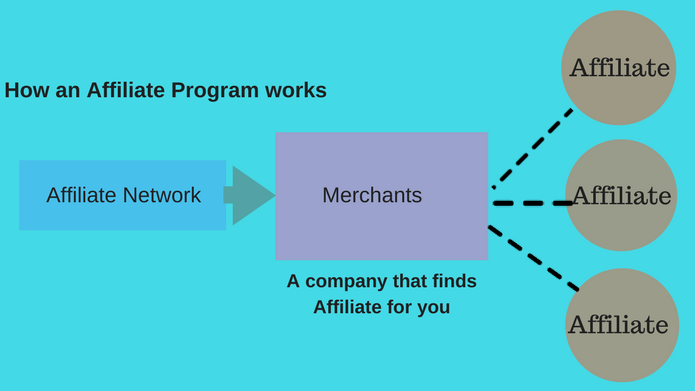 Companies that include an affiliate network can cover a variety of different marketing mediums, such as the internet or direct mail, or can operate in related industries. 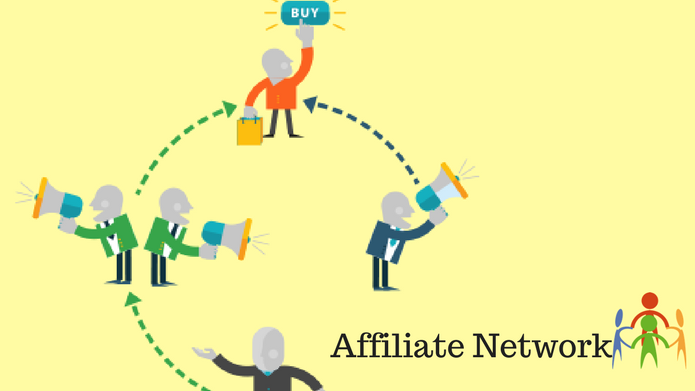 Here are some most popular affiliate networks that you can join. ShareASale – ShareASale is an exclusive Affiliate Marketing Network and has been in business for 18 years. It offers many high-paying affiliate products for almost every category imaginable. CJ Affiliate (Formerly, Commission Junction) – It is an online advertising company owned by Alliance Data operating in the affiliate marketing industry. ClickBank – ClickBank is known for the large online marketplace for selling digital products in different categories from different merchants. Amazon Associates – Start earning money with The Amazon Associates Program. It is one of the largest e-commerce stores with millions of products and most successful online affiliate programs, with over 900000 members joining worldwide. Cool! At this point, you are now familiar with how to start affiliate marketing. Now, here are some tips that make more money from affiliate marketing. For your smooth running Affiliate marketing try to pick the good product and companies in order to promote it. So, this works when you recommend the products and services that you have actually used. Content is the first eye catcher on your website. so, if you provide a good content with a convincing voice and valuable information about the product. With the content, use product reviews, video reviews, product comparisons with pros and cons, and more.